2 Why use a credit card? Looking for the Best Credit Card India? Credit is one of the important factors that help you in getting rich. But the concept is quite complicated to understand so people tend to completely ignore it. Now that you are reading this article it’s important that you pay attention to it. Establishing good credit is the foundation of getting rich. The fact is that the most often out large purchase is made on credit and if you have good credit you can easily save tens of thousands of rupees on these acquisitions. Credit has a much greater influence on your finance than saving a few rupees on daily items. Credit can be in various forms such as credit cards, loans, mortgage, overdraft, credit unions etc. However, a credit card is the best way to enhance credit as it’s simple and quick. Credit Card can be beneficial as well as harmful for your finances. It all depends on how well you understand and use it. Most people make mistakes while using their credit card and suffer because of that. Credit Card is like a short-term interest-free loan if you pay your bill on time. Also having a credit card helps you to track your spending. They come with excellent offers that help you earn reward points as well as complimentary extras. One of the major highlights of using a credit card is fraud protection. You can easily request for a chargeback if you are unhappy with your purchase. A credit card can also become your enemy if you remain negligent about it. Even if you miss your payment by a single day you will have to pay a huge amount of interest on the remaining amount plus late fee. Another point to note is regarding hidden charges. The interest is not the only extra fees you pay. There is a penalty on exceeding your credit limit. Also if you withdraw cash from an ATM using your credit card, you need to pay a fee as well interest on the amount starts building up. These points are not to discourage you from using credit cards. In fact, they help you realise the importance of being responsible and cautious while using credit cards. Whether this is your first time of getting a credit card or you are thinking about getting a new credit card, you need to keep a few things in mind. First of all, never ever apply for a credit card from the offers you get by email. Although Gmail does a good job of marking them as spam so you won’t ever see it but sometimes they might land up in your inbox. You should find out which credit card is best for you and choose accordingly. Reward Points that you get when you spend using your credit card are important. Since you will be using the credit card for spending money, you bend to make sure that what you get in return is beneficial to you. 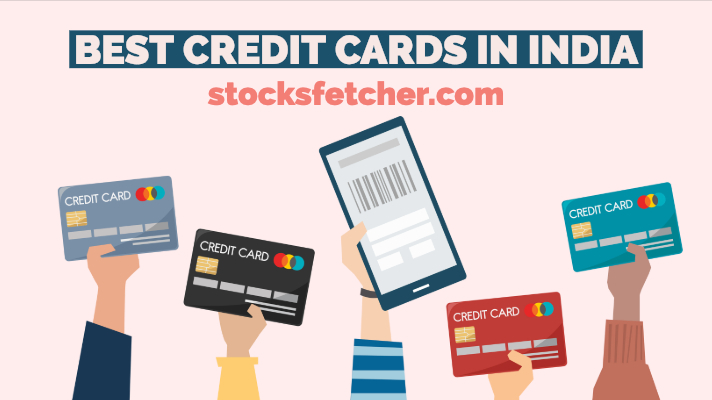 Below is the list of the best credit cards in India 2019 along with their benefits, fees, eligibility, and their points redemption details. Regalia means the emblems or insignia of royalty. So as the name suggests this credit card is a truly premier quality credit card in India. You will be glad to know that HDFC Regalia is an EMV Chip Card which means that it has an embedded microchip in it which provides encryption, leading to enhanced security and fraud protection. Special dining privileges providing up to 15% discount at top restaurants pan India. If you spend Rs 3 lakh in 1 year, you can get the Renewal Fee waived for subsequent renewal year. – Convert Reward Points to get Air Miles of top airlines. This credit card surely deserves a spot in the list of best credit cards in India. This credit card can definitely help you save a lot when it comes to refuelling. They claim that it can help you get 71 litres of free fuel per year. You can check out the detailed calculation here. 4 Turbo Points on Rs 150 of buying fuel at authorized IOC Retail Outlets across India. 2 Turbo Points on Rs 150 at grocery and supermarkets. 1 Turbo Point on Rs 150 spent otherwise like Shopping, Dining etc. 1 Turbo Point is equivalent to Rs 1 worth of fuel. The best part is that Turbo Points never lapse. You can redeem them immediately or accumulate them for something large later. The annual fee on the card is nil if you spend over Rs 30,000 using your credit card in a year. If your annual spend is less than Rs 30,000, the annual fee is Rs 1,000. You can easily use your Turbo Points to get free fuel or redeem them readily in-store or online for exclusive products. Redeem for free fuel instantly at more than 200 IOC outlets across India. Convert your points to gift vouchers for products and services from brands. Pay with points at limited merchant outlets and online partners for items you purchase. The Amazon Pay ICICI Bank Credit Card is just launched and currently, they are offering it to limited customers. You can check here to see if you are lucky enough to be eligible for it. The best part of this credit card is that your earnings will be automatically converted to your Amazon Pay Balance on completion of each billing cycle of this credit card. Additionally, there is neither a minimum redemption amount nor any fees on redemption of earnings. Amazon Prime subscribers gain 5% cashback on Amazon.in purchases. No limits on earnings for this credit card. Also, there is no expiry date for your earnings. Gain 1% fuel surcharge waiver for all fuel purchases. There is no joining fees or annual fees as this is a lifetime free credit card. This is one of the best credit card in India. SBI has collaborated with the top e-commerce firms in India to help you get the best experience. However getting approval for this card is not so easy, you must have established an excellent credit score to get it. There is a one-time fee of Rs 499 for the first year. Second year onwards the renewal fee is Rs 499. This renewal fee will be reversed if the annual spend for the past year is greater than or equal to Rs 1 lakh. You can redeem your reward points for merchandises and vouchers available in the SBI reward catalog. Get free e-Gift Voucher worth Rs. 5,000 on joining. You can pick from any of lifestyle and travel brands: Shoppers Stop, Yatra, Marks & Spencer, Hush Puppies/Bata, Pantaloons. Get 15000 bonus Reward Points for annual spends between Rs 5 lakhs and 8 lakhs. There is a one-time fee of Rs 4999 for the first year. Second year onwards the renewal fee is Rs 4999 per year. Redeem your reward points for gift vouchers, electrical devices, accessories, lifestyle etc. using the Shop-and-Smile Rewards Program. The American Express Gold Card is an option that you must consider it is less costly than other Amex Cards but still gives you the chance of making full use of the highly rewarding Amex Membership Rewards. You must be over 18 years of age and must have a good credit history and no payment defaults. If you are self-employed then your company must have been trading for longer than 1 year. The first year Fee is Rs 1000 plus taxes. After the first year, the annual fees is Rs 4500 plus taxes. You have the freedom to redeem your Points from over 500+ impressive redemption options which include top airlines, hotels, electronics. You can also get a statement credit, Amazon gift cards, Tanishq vouchers using your points. You can get numerous discounts and reward points out of your spends with the Standard Chartered Platinum Rewards credit card. You can check out the list of limited time special offers here. Get up to Rs 2500 cash back on flight bookings done via Paytm. Get up to 25% discount on movie tickets and food at INOX. Get 15% discount at more than 850 restaurants pan India. Your age must be between 21 years and 65 years. You must have a stable monthly income. You must belong to credit cards sourcing cities of Standard Chartered Bank. The fees for the first year is Rs 250. You can also avail 100% single time cashback (up to Rs 500) on spends at Restaurants within the first 3 months of card approval. The renewal fee for subsequent years is Rs 250. This is waived if you spend Rs 30,000 in the year using your SC Platinum Rewards Card. The reward points can be redeemed easily at 360-degree rewards. You get complimentary Yatra (Yatra.com) Discount Vouchers that can fetch you a discount of Rs 8250 once you pay the joining fee. Get Rs 1000 immediate Discount on Domestic Flight bookings. Transaction amount must be at least Rs 5000. Get Rs 4000 immediate Discount on International Flight bookings. Transaction amount must be at least Rs 40000. Flat 20% Discount on Domestic Hotel Bookings. Transaction amount must be at least Rs 5000 and the Maximum Discount per transaction is Rs 2000. Avail exciting Travel Benefits by using promo code ‘TRAVEL’ while booking. 1 Reward Point is worth Rs 0.25. The one-time Joining fee is Rs 499 + taxes as applicable. The annual fee for subsequent years is also Rs 499 + taxes as applicable and this is waived off if spends in the last year exceed Rs 90000). The Reward Points can be redeemed at Yatra.com to Book Hotels, Flights, and Holiday Packages. Royale Signature Credit Card will be the one suitable for you if your major spending areas are travel and lifestyle. It offers you priority attend, Airport Lounge Access, Fuel Surcharge Waiver, Railway Surcharge Waiver etc. which you will definitely like. You must be between 21 years to 65 years of age. There is no joining fee. The annual fees is Rs 999 and is waived off if your annual retail spend is over 1 lakh. Kotak credit card reward points can be converted into currency at merchant outlets on shopping with your Kotak Credit Card. Other redemption options are Cash, Airline tickets, Air Miles, Movie Tickets, Mobile Recharge, Branded Merchandise. The Axis Bank Buzz Credit Card is amazing for online shopping and even better if you frequently shop from Flipkart. To be eligible for Axis Bank Buzz Credit Card your age must be between 18 years and 70 years. The joining fees is Rs 750. The renewal fees is Rs 750 as well. Axis eDGE Reward Points can be redeemed at Edge Rewards Store. It has a wide range of categories to choose from including Instant Vouchers, Apple iPhone, Home & Decor, Fashion, Kids Travel etc. RBL Bank Platinum Maxima Credit Card provides excellent offers and bonus points which can be quite useful. Since this is one of a premium credit card offered by RBL bank, the benefits you get are outstanding. The annual fees of RBL Bank Platinum Maxima Credit Card Rs 2000. The renewal fees from second year onwards is Rs 2000. With the YES First Preferred credit card you get exclusive privileges and rewards at your disposal. To apply for this credit card, your age must be between 21 years and 60 years. Both Salaried or Self Employed can apply. Your net monthly salary must be over Rs 2 lakh per month or IT Return must be greater than Rs 24 Lakh. The Membership Fee for the first year is Rs 2500 plus Taxes as Applicable. The Renewal Membership Fee is Rs 2500 plus Taxes as Applicable. You can redeem your accumulated reward points of YES FIRST Preferred Credit Card for flight booking, hotel booking, movie tickets, golf course booking, air miles and much more. Do you want to indulge in a world of extravagance and live like a king? With the IndusInd Bank Iconia Credit Card, you can do just that. IndusInd Bank offers you exclusive privileges which no other lifestyle credit card can level. Get gift vouchers of most popular brands as a welcome bonus– MakeMyTrip, Aldo, William Penn, Armani, Titan, HUSH PUPPIES, Pantaloons, Hidesign, Woodland, United Colors of Benetton, Yatra, Satya Paul, CHARLES & KEITH. Avail special waivers on lounge usage charges abroad. Enjoy 1% waiver on fuel surcharge at any fuel station across India. Concierge service team will provide you prompt and easy assistance on hotel reservations, flight bookings, Sports and Entertainment Booking or any other exclusive bookings. The joining fee is Rs 17999. This is a one-time fee as there is no renewal fee on IndusInd Bank Iconia Credit Card. The HSBC Visa Platinum Credit Card is completely free, thus it makes a good entry-level card. But as per the general feedback we have received their service and coverage in India is poor. Attractive dining experiences with up to 15% discounts at over 1000 restaurants in major cities. There are no joining and annual fees. These are the best credit cards currently available in India. To make the right choice out of these credit cards depends on various factors such as your credit score, your existing credit cards, joining and annual fees, whether you need reward points or not and whether you will make use of the benefits offered or not. If you want us to add any other credit cards to this list or you have any queries regarding any credit card, please feel free to comment below. Disclaimer: The information in this article is considered to be accurate as of the date it was written. Please note that credit card offers change periodically. Thus, we cannot guarantee the accuracy of the information in this article. Fair efforts are made to maintain correct information. Check out the online credit card application for full terms and conditions on offers and rewards. Please verify all the terms and conditions of any credit card before you apply.